Samsung S-series 10th-anniversary phones: The next big thing? 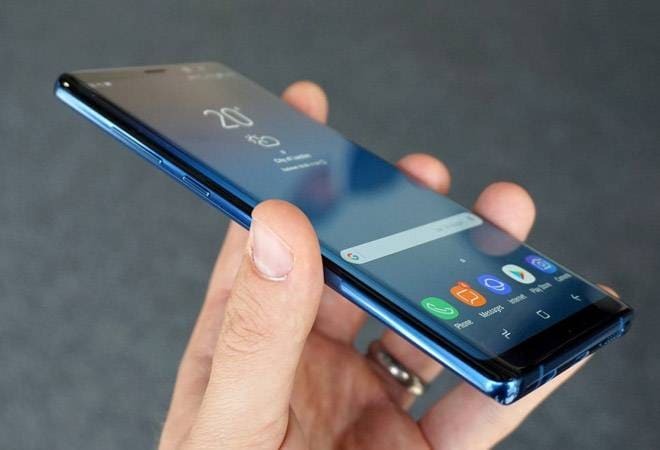 The Galaxy S10, Galaxy S10 Plus and the rumoured foldable Galaxy F have the potential to take the smartphone market by storm and put Samsung back at the top of the heap. Samsung's 10th-anniversary S series smartphones promises to be the most important release not just for the South Korean phone maker but also for the overall smartphone industry. Slow sales and growing number of cheaper phone manufacturers has hurt Samsung in the last couple of years. The Galaxy S10, Galaxy S10 Plus and the rumoured foldable Galaxy F have the potential to take the smartphone market by storm and put Samsung back at the top of the heap. Going by several leaks and rumours, Samsung's Galaxy S10 and S10 Plus phones will have an ultra-sonic in-display fingerprint scanner. This is expected to be faster than the existing optical scanners. Rumours also suggest that Samsung is planning to have four different screen sizes i.e. a 5.8-, 6.1-, 6.4- and 6.7-inch Galaxy S phones. The S-series phones may also support 5G and carry a total of six cameras across the front and back. Earlier, at the Samsung Developers Conference (SDC 2018), Samsung had announced four different display designs named Infinity-U, Infinity-V, Infinity-O, and New Infinity. The phone would most likely feature a cut-out in the panel for the front-facing cameras. Meanwhile, Samsung has announced its second 5G handset. This time with AT&T and the company plans to release it in 2019 in the US. The new device will be able to access both 5G mmWave and sub-6 GHz. Earlier, Samsung had announced its first 5G handset for Verizon. Samsung is expected to reveal its Galaxy S-series devices at next year's Mobile World Congress, which usually takes place between 25 and 28 February.